It’s that time of year again. That brief, exuberant period in January, when gyms are crowded with people whose New Year resolutions haven’t yet expired on Super Bowl Sunday. Since everyone’s focused on fitness, it seems like the perfect time to talk about healthy cities. And whether you’re talking about a city’s fiscal health, or the physical health of its citizens, the same rules apply. In fact, you can easily determine if your neighborhood is a fiscally/physically healthy place by answering one, simple question. When you’re on foot, does it feel good? That’s it. That’s all you need to know. And here’s why. When you’re walking and a place makes you feel good, certain conditions are being met. You are probably experiencing a sense of comfort, connection, discovery and delight. Older, historic parts of town tend to get this right. Here you’ll find interesting architecture, human-scaled buildings, a diversity of destinations, narrow streets, and lively sidewalks. Because our ancestors traveled on foot, they built for people, and it shows. Contrast that with how we build today. If this picture makes you feel exposed, unsafe, disconnected and anxious…congratulations! You’re human! If you think a lot of space is being wasted, you’re also correct. And if it you would never choose to walk to this destination, you’re not alone. Which gets us back to the connection between fiscal and physical health, and the magic of traditional development patterns. Those old geezers really knew what they were doing. If your town has an intact, historic Main Street, then you have a terrific example of what I mean by traditional development. These neighborhoods weren’t planned to meet a single purpose for a single developer (for example: “regional shopping center”). Instead, they grew up organically over time to meet the varied needs of many different people, all of whom lived nearby and traveled on foot. And because these places were built before car-centric development became a fad, they are much more efficient at utilizing space. In traditional neighborhoods, buildings abut the sidewalk, and narrow storefronts stand shoulder to shoulder along the street. This eliminates wasted space and shortens the distance between destinations. It also creates the perfect environment for window shopping. Meanwhile, two- and three-story buildings allow a mixture of uses, while doubling or tripling the amount of usable space on modest-sized parcels of land. 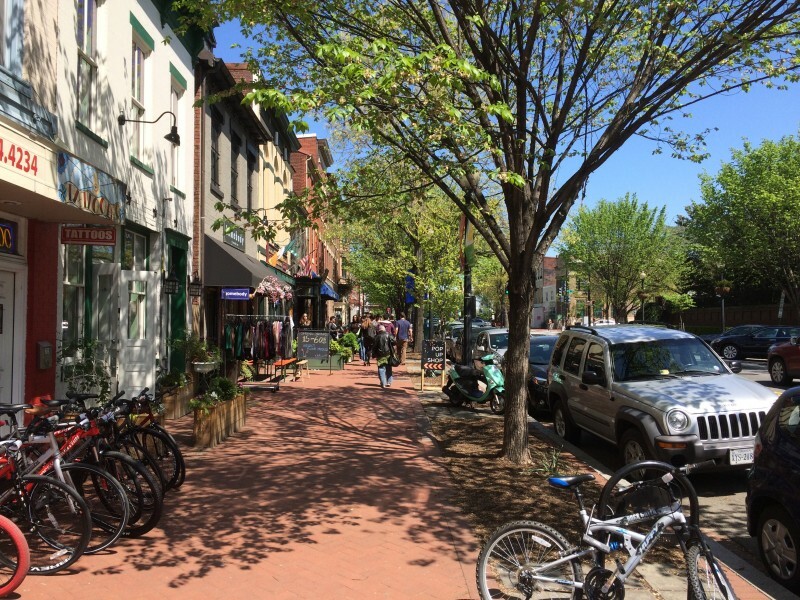 As it turns out, these unassuming little Main Streets are turbo-charged economic engines that generate an incredible amount of tax revenue per square foot. And because they utilize space so efficiently, it costs a lot less to provide and maintain the public infrastructure they require. And then there’s the alternative. Compare that to the super-sized, asphalt wastelands that comprise 99% of all new development today. Single-story, single-use developments that are spread apart by great distances result in far higher public infrastructure costs while generating a lot less tax revenue per square foot of land. This is the modern development pattern that Chuck Marohn calls the Suburban Experiment, and it’s crippling municipalities. But it’s not just bad for your city’s bottom line. All that waste is bad for your waist, as well. Why? Because those very same factors that make car-centric developments terrible for city coffers also make them bad for your physical health. Meanwhile, the very qualities that make traditional developments efficient economic generators also tend to create neighborhoods where you can easily use your muscles to get from place to place. Where would you rather walk or bike? All that free parking is making you fat. We don’t simply create places where people aren’t encouraged to walk. We create places that punish people who try. Wide streets with fast moving traffic make drivers happy, but they’re deadly to pedestrians. 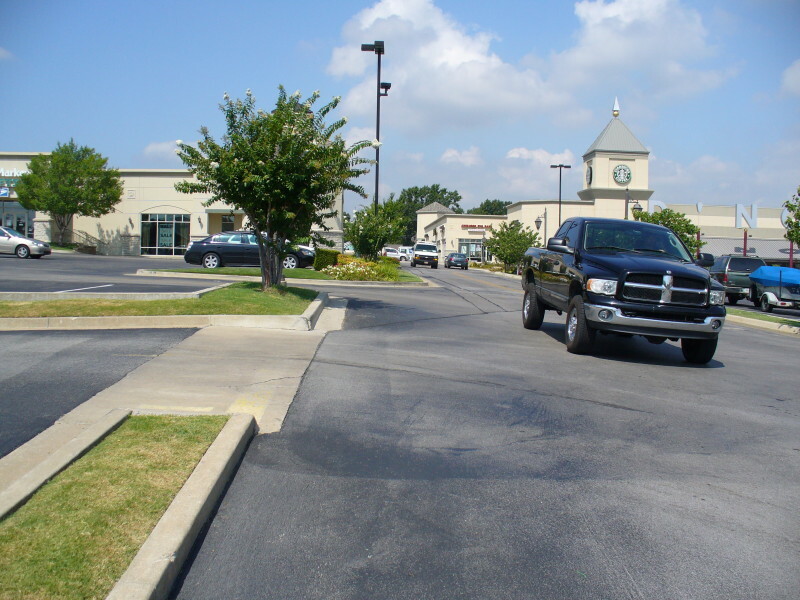 Buildings located far from the street provide lots of space for parking, but make it impractical for people to walk, bike or use transit to reach their destinations. (They also create asphalt moonscapes that are inhospitable to humans and lousy for the environment.) Separation of uses–like segregating residential from commercial, and office from retail–means that everyone must travel even further to meet their daily needs. These are places where only the most desperate individuals venture forth without the protective carapace of a car. But you can’t blame folks for driving. In these environments; it’s often the only rational choice. And yet, when you place those very same people in neighborhoods that were built for folks on foot, an amazing thing occurs. And when people start walking and biking, even to run a few short errands, another magic thing happens. Suddenly, they get the recommended 30 minutes of daily exercise, without even trying. Because when you live in a walkable place, you don’t just run errands, you burn calories. You also increase your brain function, reduce the risk of chronic disease, strengthen your muscles, improve your balance, shrink your waistline, and extend your life. 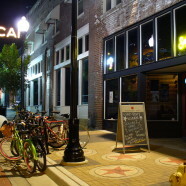 But beyond that, when people get out of their cars, they connect with people. Instead of your daily commute being a time of stress and frustration, you get some fresh air and sunshine. You cross paths with people and smile. You speak to strangers. You open your life to happenstance and serendipity. You notice beauty. And you never have to go to the gym. 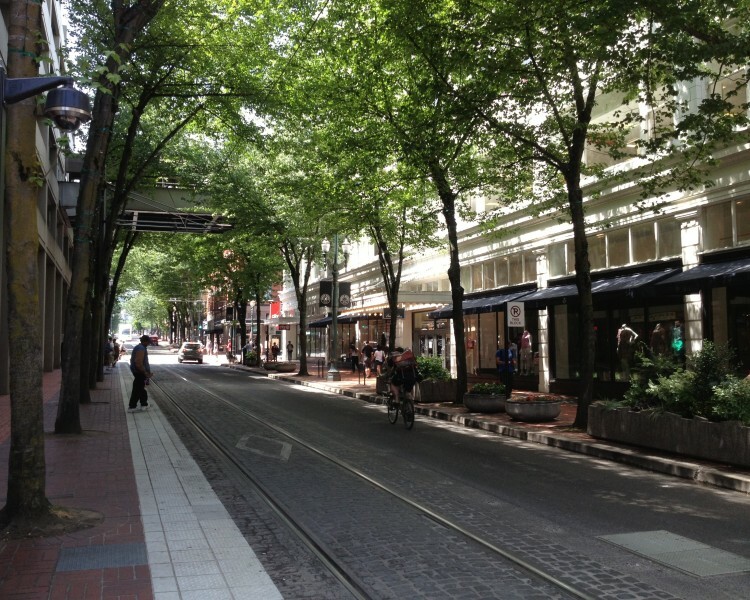 Are You an Accidental Urbanist? Somewhere along the way, I became an urban design nerd. I’m fascinated by cities: how they’re built; how people get from place to place; and, most importantly, how I feel as a human being in that space. My hobby drives my friends crazy. I’m constantly babbling about sidewalks, pocket parks, street widths, setbacks, parking requirements, and protected bike lanes. Also, I use the word “fenestration” in sentences. In case you’re wondering (I know, you’re not) fenestration refers to the openings on a building–windows, doors, etc. It’s the thing that allows window shopping and people watching to occur. And it’s super critical to successful neighborhoods and streets. As a kid, I was fascinated by old things. I loved old houses, old buildings, old objects, old people, and old ways of doing things. 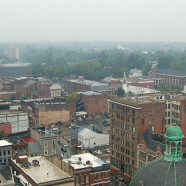 But I didn’t start thinking about cities, per se, until I found myself living in downtown Lexington, KY one summer during college. Suddenly, a new world opened up before my eyes. It was the first place I’d ever lived where walking was a valid form of transportation. 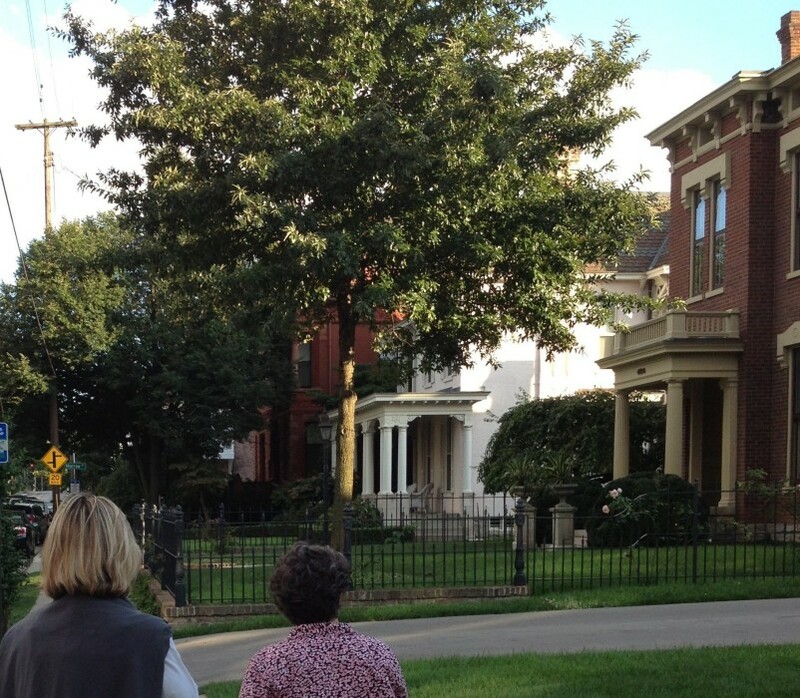 Because Lexington was founded in 1775 and came of age in the 1800’s, it developed during a time when streets and neighborhoods were built for people who walked. Here was a place where you could step out the door and stroll to an infinite variety of destinations. 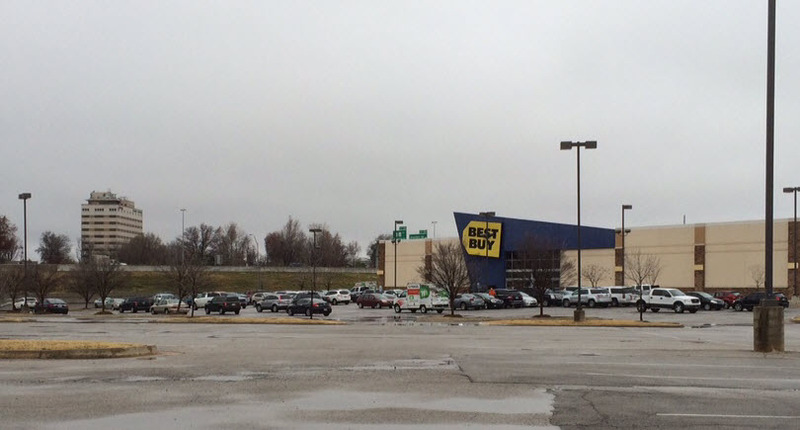 Parks, shops, restaurants, bars, schools, hardware stores…everything was within walking distance. Better yet, every step of the way was beautiful and interesting. Because here’s the thing: when you’re walking, beauty matters. You notice details. You care about architecture. You stop for flowers. You laugh at quirky window displays. You appreciate art. The result? Places built for people who walk are better places. In the olds days, we got this right by default. We traveled at a walking pace and cities were built to satisfy the needs of people. Although we’ve spent the past 60 years designing our cities primarily for the movement and storage of automobiles, we know there’s a better way. We can see it in our historic city centers and older neighborhoods. And we see it in newer developments where people cherish a sense of place. So let’s talk about what it takes to make cities and neighborhoods great again. You might discover that you’re an Accidental Urbanist, too! Although this blog is supposed to be dedicated to urban design, transportation and land use, today it’s going to be about something even more geeky and esoteric: learning how to ride a unicycle. Let’s call it “alternative transportation,” and pretend it counts. I’m hoping the blog police will let me off with a warning. Like most folks, I’ve seen a lot of people ride unicycles—circus performers, jugglers, the kid who delivered our paper in the 70’s—but I’d never tried it myself until a few years ago. I was visiting a friend whose nieces owned a small, yellow “uni,” and I simply had to give it a shot. While my attempts to ride it were laughable, I was intrigued. At first glance, a unicycle looks like some sort of early prototype that should have been abandoned shortly after the invention of the wheel. At second glance, it makes even less sense. Under no circumstances does it seem like a practical approach to personal transportation. And yet, it’s the improbability that makes unicycling so appealing. Three years after seeing that little yellow unicycle, and about a month after my 48th birthday, I finally bought one. Now, if I could just ride the darn thing. Unicycling is not a hobby for those seeking instant gratification. Achievements occur at the nano level, so you have to be able to discern tiny, incremental improvements—then celebrate them with all your might. You also have to be willing to look like a complete dork. So true. And since I needed a new challenge, it’s been a fun diversion. Really, this whole unicycle thing is turning out to be a metaphor for life. Feeling terror just means you’ve made a healthy decision to step outside your comfort zone. The first time you attempt to balance on a unicycle, your body (correctly sensing a threat to life safety) floods your cells with adrenaline, leaving you shaky and trembling. The following day, you’ll be sore in 38 different muscles you didn’t realize you had. This is merely a sign that you haven’t been living up to your potential. Sitting at your desk isn’t cutting it. Maybe it’s time to try more things and shake it up a bit! I can’t begin to express just how impossible unicycling seems at first. You are keenly aware that the unicycle is a slippery devil, disobedient to your will, and bent on your destruction. For this reason, you tend to clench parts of your body that have rarely been tensed. It’s exhausting. Try to relax. There’s enough going on without adding unnecessary stress. You have to move in the direction of your dreams before you can get there. 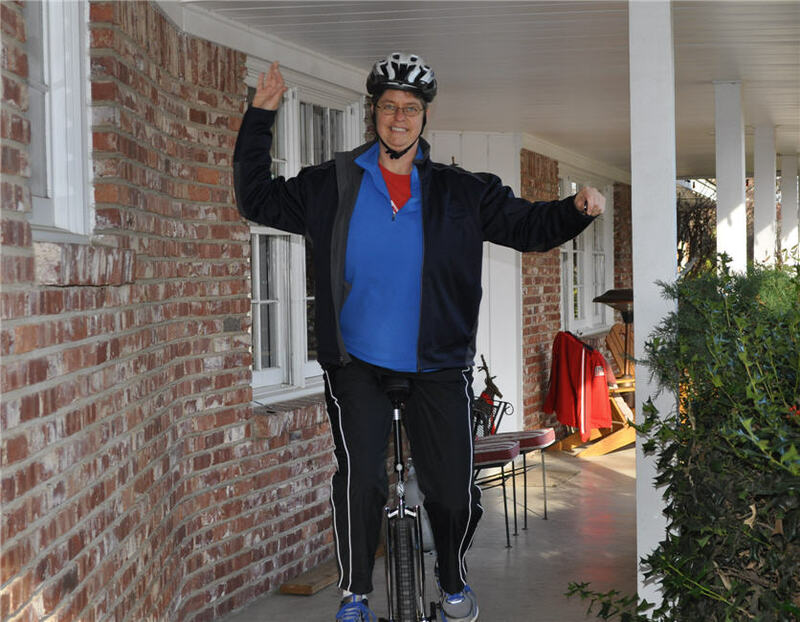 Unicycling is about having the courage to lean forward into nothingness, and trusting that your legs can pedal fast enough to keep the center of gravity beneath you. The difficulty is that once you’ve finally learned how to balance in place on a unicycle, it starts to feel comfortable and safe. Your body naturally wants to remain in this position of security. But the only way to get anywhere is to lean forward and go. So you have to tip ever so slightly forward—which feels exactly like falling—and start pedaling. If you think about it, this is precisely how everyone learns to walk. We’ve simply forgotten the lessons of toddlerhood: Be brave! Don’t just stand there, go someplace! Lead with your heart. Falling is part of the process. And remember to celebrate each and every little step along the way. This one’s difficult to explain. In the beginning, one of the hardest things is to simply rest your weight on the seat. This is scary because the unicycle is a tipsy and unreliable vessel, poised to flop in any direction at any time. But the pedals are “fixed” to the wheel, which is oddly comforting. The pedals appear to be the only thing you might be able to control. So you’ll be tempted to try to exert your will through them using every muscle in your legs. But here’s the catch. Trying to balance delicately on something while exerting brute force with the largest muscles of your body is difficult and exhausting. You’re also wasting a lot of strength pushing down, when your goal is to go forward. The answer is simple and elegant. Like the song says, “Let it go!” (I know, I know. Sorry.) Don’t fight with the thing, just sit on it. Really sink into the seat. For some reason, as soon as you do this, everything becomes easier. Since you’re no longer exerting brute force, you can relax and feel your balance. And because you’re not putting all your weight on the pedals, ironically, pedaling becomes much easier and more fluid. As soon as you stop fighting it, you start getting somewhere. It’s better when you just go for it. Weirdly enough, when you hold back, you’re much more likely to fall than when you just go for it. 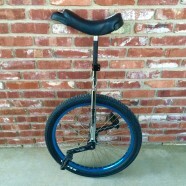 Due to some physics that I can’t explain about centripetal force and inertia and who knows what else, the unicycle becomes a lot more stable as soon as you start pedaling. Anyone who’s ever ridden a bike knows this. You can cycle comfortably all over town as long as you’re moving. But if you try to balance on the bike while stopped at a stoplight, it becomes incredibly hard to stay upright. So once you get started, keep going! Momentum is your friend. Eventually, you’ll experience a moment where you think: “Hey, this is working! This feels right! I’m doing it!” which is inevitably followed by: “Holy crap! This is scary! I can’t do this!” Doubt creeps in. You get nervous and pull back. Which immediately causes you to dismount. And by that I mean fall/jump off. Try to hold onto that other feeling. The one that, for just a split second, felt like grace. Focus on your successes, not your fear and failures. Life is about incremental progress. So here’s where we can bring this whole thing back to cities and urban design. In many ways, my unicycling skills mirror my hometown’s early attempts at complete streets and smart urban design. We’re not there yet, and mostly we don’t know what the hell we’re doing, but we’re making small, incremental progress. We make a lot of mistakes, but we’re starting to do some things right. In Tulsa, we’ve updated the zoning code, which will allow smart people to build better places by right, not via special exception. We’ve reduced minimum parking requirements, which will help entrepreneurs who want to revitalize old buildings in historic parts of town. Our city engineers are beginning to understand what complete streets are, and they’re starting to think about bike lanes and sidewalks as critical components of the public right-of-way. People are beginning to talk about the harsh economic realities of sprawl and car-centric design. And soon, we’ll be updating our subdivision regulations, to ensure neighborhoods are designed for connectivity, not cul-de-sacs. We have a long way to go before we master this thing, but in between our mistakes, we’re doing more and more things right. It’s progress. I’m learning to respect that. Happy New Year! Keep pedaling!